Following the opening of new TecAlliance offices in Brazil and Mexico, TecAlliance is continuing to expand its business activities in Latin America. At the Automechanika Buenos Aires, which was held from 9 to 11 November 2016, TecAlliance presented the version of the TecDoc Catalogue Portal that was developed for Argentina at the exhibition stands of the data providers already operating there. With 398 exhibitors from 18 countries and almost 30,000 trade visitors, the Automechanika Buenos Aires is one of the most important industry events in South America. 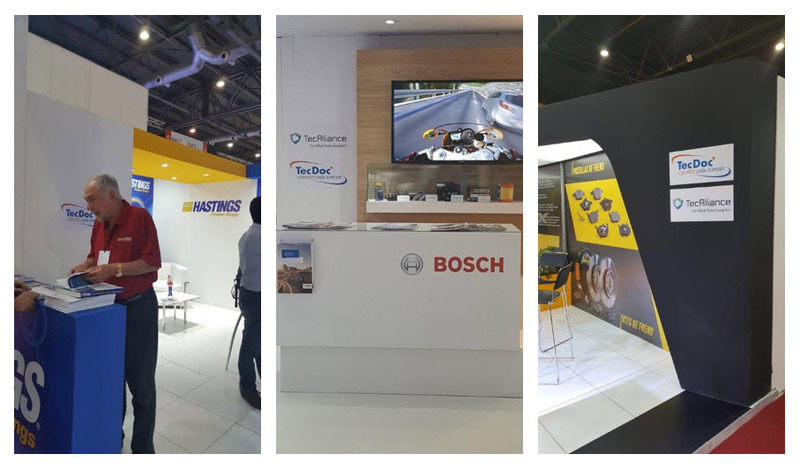 ‘This trade fair was a great opportunity for us to strengthen our relations with the most influential local parts manufacturers and wholesalers and to continue to expand our network in South America,’ Heloísa Monzani, Regional Sales Director Brazil at TecAlliance, explains. Claude Lotrian, Director Western Europe & Latin America at TecAlliance, was at the Automechanika Buenos Aires to support the rollout of the TecDoc Catalogue Portal. ‘Our version of the TecDoc Catalogue Portal, specially adapted to the needs of the Argentinian market, was met with great interest and we are very satisfied with how business is developing in Argentina,’ says Lotrian. Data providers already operating in Argentina presented the TecDoc Catalogue Portal Argentina at their exhibition stands.